AMS Flight is the possessor of the LS4 and the LS6 series models know how and AMS continues to care for these world popular and pilots like gliders. AMS Flight has all of the LS4 series and many of the LS6 and LS9 series production tools, means airframe parts moulds, except of the LS6 series fuselage moulds set, while these tools are used by the company DG Flugzeugbau to manufacture LS8 and LS10 fuselages out. 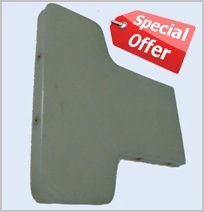 Spare parts, drawings and technical support of LS4 and LS6 series are available at AMS Flight. Manuals, technical modifications and technical drawings of the LS4 and LS6 series of Schneider company are scanned and largely all in pdf format so can be sent simple to the gliders owners and to the service workshops. DG Flugzeugbau is a parallel company which provides technical support to owners of gliders of LS4 and LS6 series but it does not have the necessary production tools for the airframe spare parts supply. Today, the AMS Flight is willing to sell the tools of LS4, LS6 and LS9 series gliders, technical and certification documentation including manufacturing technology to an interested buyer. 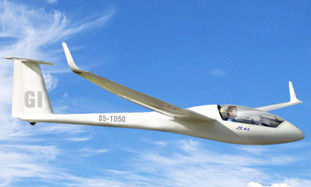 LS4 series gliders are models LS4, LS4-a and LS4-b. Given the initial continued interest in the type, the LS4-b has been putted back in the production by the AMS Flight. AMS Flight manufactured two LS4-b’s in 2008. Than in the years 2009 and 2010, AMS Flight needed to reorganize itself in the direction of reducing the volume of production and in this process decision was taken to stop the serial production of LS4-b’s. The LS4 was manufactured by Rolladen-Schneider Flugzeugbau GmbH between 1980 and 2003. The LS4, successor to the LS1 in the Standard Class, made its first flight in 1980. It is the third most produced non-military glider, after the Grunau Baby and the Blanik basic trainers. A total of 1,050 were built until the end of the year 2008. This type consolidated Rolladen-Schneider's reputation for well rounded sailplanes that are both easy to fly and top performers. It is docile enough for beginners and its performance is only slightly below the later standard class sailplanes. It can be concluded that “LS4/LS4-a/LS4-b” is a real world standard class glider. All those “typical LS” details are the reason that clubs now use the LS4-b universally for all purposes from instruction to cross-country flying and many of the individual pilots flying LS4-b just for joy it as well. LS6 series is a 15 meter and 18 meter single-seat flapped glider manufactured by Rolladen-Schneider Flugzeugbau GmbH between 1984 and 2003. The prototype of the LS6, successor to the LS3, made its first flight in 1983. Having entered production one year later, the LS6 had as well an uncommonly long production run into 2003. A total of 375 of all versions were built. A watershed design, the LS6 introduced carbon reinforced plastic as a structural material in LS-gliders, thin profiles for wings and empennage, wing extensions and other features that have been retained in all subsequent types developed by the company. The resilience of the design is well illustrated by the fact that the LS8 is essentially a 'standardized' LS6. The Akaflieg Darmstadt D41, the LS9 and the Akaflieg Köln LS11, all have wings built in the LS6 moulds base. LS10 wing is very similar to the wing of LS6. Bettering the record of the LS4 in the Standard Class, the LS6 dominated the 15 meter Class FAI over nearly a decade, winning the first two places at the 1985 World Gliding Championship at Rieti in Italy, the first three places at the 1987 Worlds at Banalla in Australia, the first four places in the 1991 World Championships at Uvalde in the United States and the first two places in the 1993 World Championships at Borlänge in Sweden. The type consolidated Rolladen-Schneider's reputation for well rounded, easy to fly gliders that do well in any conditions, being known for its superb handling, tolerance of piloting technique and environment (turbulence, rain, contamination by insects) as well as for good glide ratios over a wide speed range. The LS6 is succeeded by the LS10. LS6-a - with a new construction for the elevator employing an aramid / corrugated paper sandwich, and a modified ballasting system, namely larger water ballast bags and an optional tank in the vertical fin for center of gravity corrections. LS6-b - (1987) introduced a lighter and stronger construction for the wing shells employing a glass, foam and carbon sandwich. A ballast system with independent valves in each wing was offered as an option. The LS6-b and all subsequent versions reverted to the original carbon / aramid elevator. LS6-c - major redesign, the most important novelty being the interchangeable wing tips allowing a span extension to 17.5 meter. This longer span required a larger rudder, increasing the overall length by eighteen centimeter. Concurrently, the cockpit was reinforced for increased crash safety and the allowable weight of non-lifting parts was increased. At the same time the control and ballast systems were brought up to a new standard shared with the Ls7: fully automatic control hook-ups, a mass-balanced flaperon drive system (previous versions having anti-flutter dampers), airbrake locks relocated in the wings, a trigger-activated trim system in place of the trim wheel, a new ballast system that did away with plumbing inside the fuselage and Mylar seals for all control surfaces. LS6-c18 - reduction in ballast capacity to 100 liter to accommodate the 18 meter wing extensions with winglets and an increase in maximum speed up to 280 km/h. LS6-18w - further convergence with the LS8 winglets for the 15 meter span and stronger spars allowing an increase in ballast capacity to 140 liter.